This site is currently under development. We welcome your feedback on the currently available resources as well as suggestions for additional content. If you would like to provide feedback, please email Emily Cooper at ecooper@healthcentricadvisors.org. 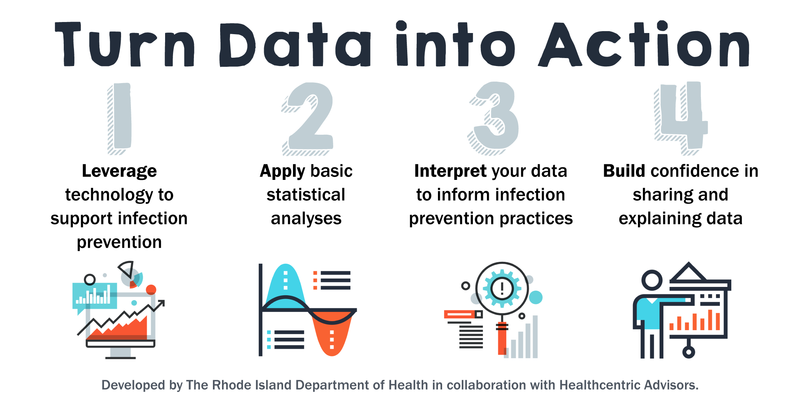 The HAI Prevention and Antimicrobial Stewardship Coalition is a statewide initiative focused on protecting the health of Rhode Islanders and the sustainability of our healthcare system. This coalition includes partners from across healthcare settings and disciplines to improve communication and promote collaboration. For more information or to be added to our mailing list, please contact Emily Cooper at ecooper@healthcentricadvisors.org. This section includes general information that may be helpful to providers, stakeholders and consumers across healthcare settings. Overuse and misuse of antibiotics has been linked to negative individual and population health outcomes such as an increased incidence of Clostridium difficile infections and an increased prevalence of antibiotic resistant organisms. To address these concerns providers and stakeholders have advocated for the development and expansion of antimicrobial stewardship programs across healthcare settings. The presentations below review additional concerns related to overuse and misuse of antibiotics that support the development and expansion of antimicrobial stewardship programs. This section includes information for providers and administrators working for home healthcare providers. It may also be helpful stakeholders and partners that work with home healthcare providers to improve patient care and safety. This section includes information for providers and administrators working in hospitals. It may also be helpful stakeholders and partners that work with hospitals to improve patient care and safety. This national initiative, funded by the Centers for Medicare & Medicaid Services (CMS), is part of the Partnership for Patients. For more information about the national initiative, visit the Partnership for Patients website. This section includes information for providers and administrators working in nursing homes and other long-term care settings. It may also be helpful stakeholders and partners that work with nursing homes and other long-term care settings to improve patient care and safety. The Rhode Island Department of Health, in coordination with Healthcentric Advisors, is offering a free training program for nursing home infection preventionists. This program is comprised of 6 modules. All modules are available through the New England QIN-QIO online learning system called The Learning Center (TLC). This content is free and available to everyone. You must create a user account for TLC to view these and other available courses. To get started, visit: learning4quality.org. This section includes information for providers and administrators working in other healthcare settings, such as physician offices and ambulatory surgical centers. It may also be helpful stakeholders and partners that work with these settings to improve patient care and safety. This section includes information for patients and caregivers. It may also be helpful stakeholders and partners that work with or advocate for patients and caregivers. Viruses or Bacteria: What’s got you sick? The Society for Healthcare Epidemiology of America (SHEA) offers additional Patient Guides on Healthcare-Associated Infections in Arabic and Polish.